This post is long due, and it was a request from one of my readers. I get direct messages on my Instagram social media platform, either on how to start a blog (see here), grow a following, or create useful content. My reply is usually to refer them to a blog post I have read recently, or one that I have done in regards to that subject. Creating content can be a tasking routine, personally I use up 2-4 hours of my time drafting out content when I need to. This task can be more burdensome for those that don't have access to resources like a laptop, camera, people and time. 1. 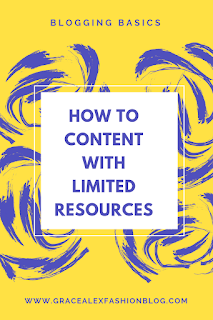 If you do not have access to a computer, it is important you work on your content in advance and have enough to last you for a period (while creating another). Countries have a cyber cafe where you can pay a few wands to work on your content online. Also, you can ask for help from your friends who have this resources, show appreciation and return their property in one piece. 2. Always ask for help in advance from the people who help you create content. Asking for help in advance allows you to create your schedule to match their time. 3. I don't know if this provision is available in most countries, but here in the US, businesses provide equipment services. These companies borrow you types of equipment, which you can use to create content. Also, the services of such companies, are paid for and have a time span. 4. Get a journal to document your experiences and thoughts. 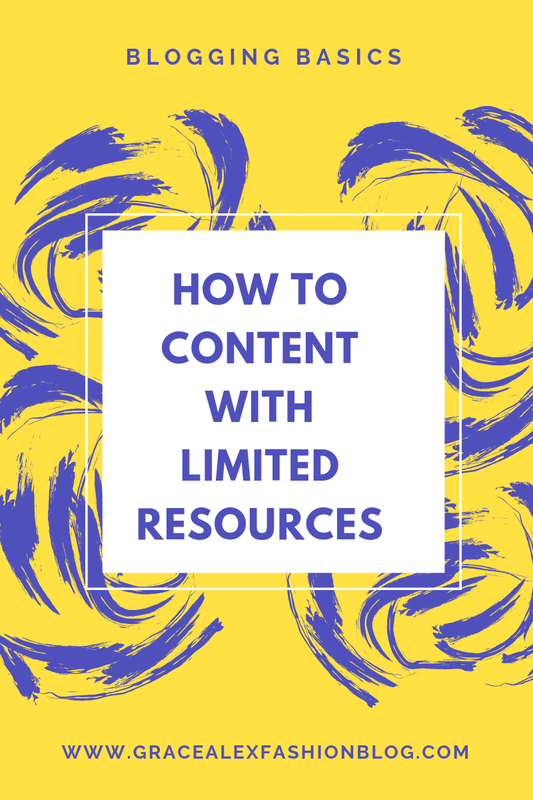 It is surprising how much content we can generate from going back and taking stock. 5. Reposting an already generated content, but with copyright permission and credit to the creator. 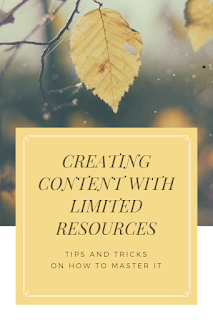 Times will arise when creating original content isn't something you would love to do, finding relevant content that fits your narrative helps. Are there other tips you would love to add?